At the beginning of June, a store grand opening took place in Cagnes sur Mer, France inside the fabulous shopping center Polygone Riviera. 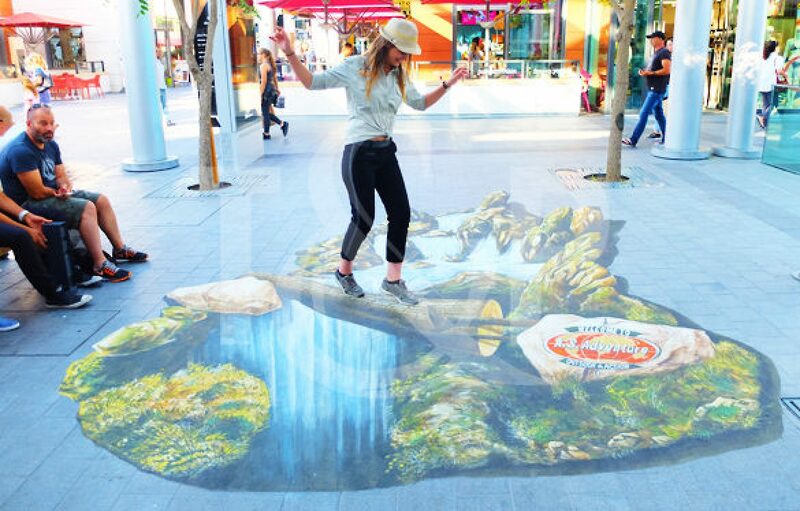 For the occasion, an artist came to make a 3D painting on the floor right in front of the shop. All the visitors could take a funny picture and everyone had a good laugh ! A fantastic artist for sure !